After riding Lexa for a few weeks, the Green Girl is ready to review the Trek Lexa SLX XS. I'm 4'10.5" with a long torso but short arms and legs. The biggest obstacle for me was to find a bike with a low enough standover for me to actually stand over it. As far as I could tell, the Trek Lexa SLX 43 cm size 65.4 cm standover height was the lowest of any comparable road bike. The Trek Lexa's women-specific geometry is a thoughtful touch because it's designed for a woman's proportions. I feel comfortable when I am riding the Trek Lexa. I don't feel like I am straining to pedal. I did have to rotate the handlebars slightly towards me in order for my hands to fit comfortably around the brakes so I can't really hold the bottom of my handlebars. This has not been an issue - I just keep my hands on top. 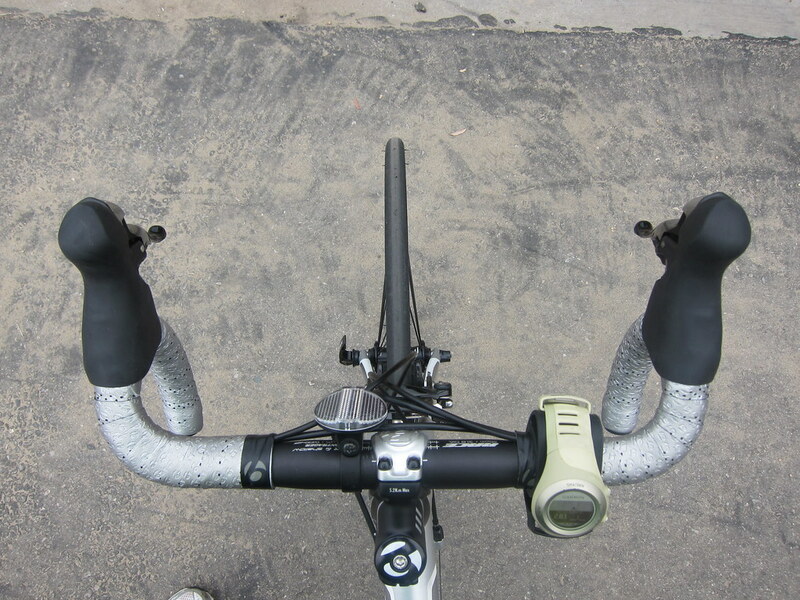 The smaller handlebar design allows me to easily reach the brake levers with my short arms and small hands. I initially felt the seat was on the hard side but after doing some research, I discovered a hard seat was preferable for long rides to minimize chafing. The ride is very smooth and shifting is easy. I feel like I could go really fast because of how well the bike handles. The bike is light enough for me to carry it effortlessly down and up several flights of stairs each time I take it for a ride at the beach. The small size can be very convenient at times. I love how I can fit the bike easily in the trunk of my car. When I use the public restrooms on the beach, I am able to roll the bike into the stall with me. Since the frame is significantly smaller, there's only enough room for a single bottle holder. Since I tend to drink a lot, I am planning on carrying a hydration pack with me on longer rides. For those interested in purchasing a U-lock, please keep in mind due to the limited space on the frame, you will need to carry it on you in your pack. I had not anticipated spending so much on a road bike but now that I've made the investment, I am very satisfied with my purchase. 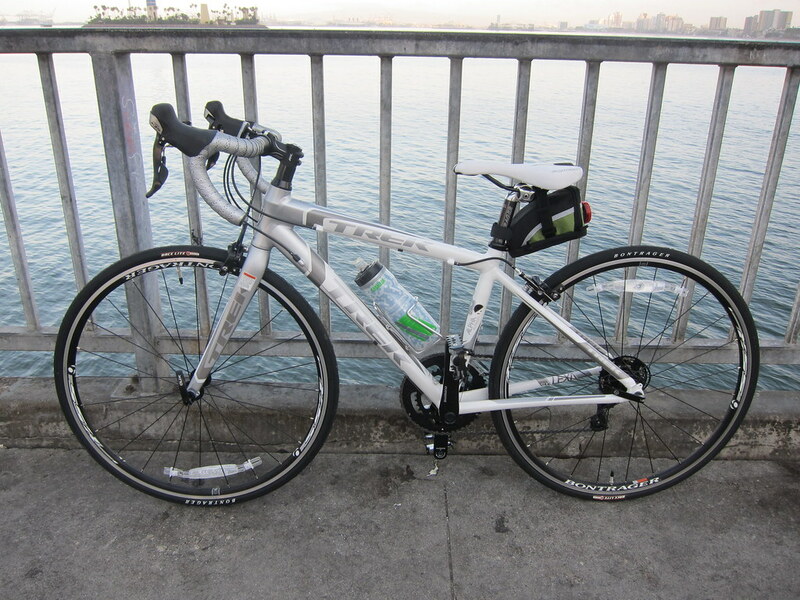 I am confident the Trek Lexa will get me to the finish line of my 240 mile bike tour this fall. Nice bike! The lightness factor is critical for commuters. I got a 40oz Speedfil for my bike, which fits in the frame nicely. It is expensive but easy to fill. If you do a search for hydration systems you should be able to find something that works for you. I look forward to reading about your touring adventures! Great detailed post. Looks like you found your perfect bike. After reading your post I really want to try riding more. So great you found a bike that works for you! Lexa is so cute. Many, happy miles to both of you. You make biking sound so appealing. I'm so glad you have found the bike for you. Did you only try the Lexa standard (triple) or did you also try the compact. If you did which one you liked more and do they both weight the same. Elizabeth, I was not able to try the bike before my purchase so this is the only bike I've ridden. It's the compact - only 2 rings in front. I don't believe you can fit 3 rings on a frame this small.